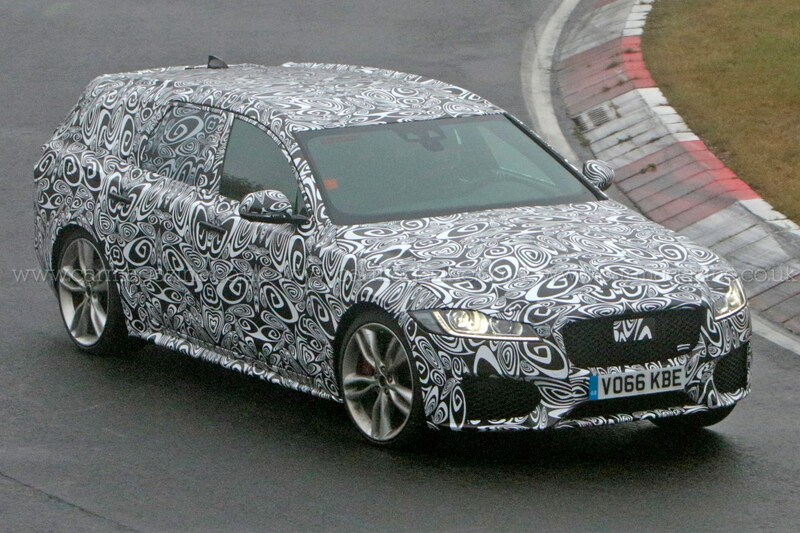 Weeks after official confirmation of its existence at the 2016 Paris motor show, today we can bring you the latest spy photos of the new 2017 Jaguar XF Sportbrake estate. 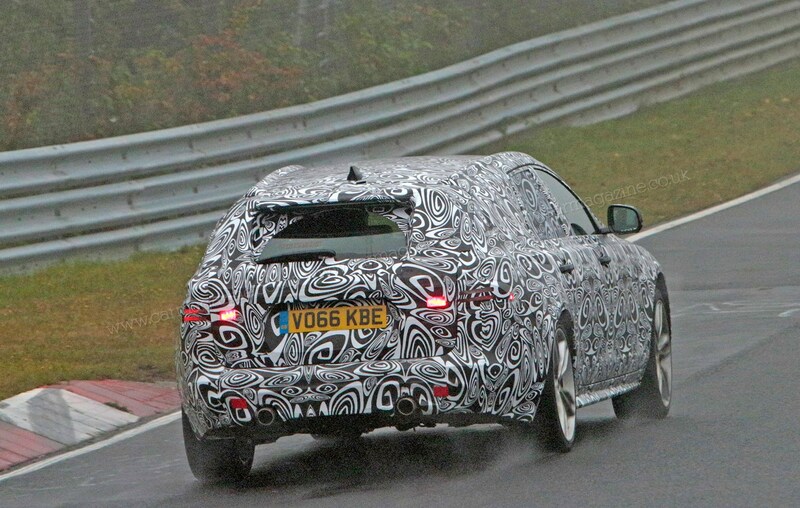 Our photographers caught the new Jag wagon during high-speed testing at the Nuburgring circuit in Germany, ahead of a likely debut in spring 2017. 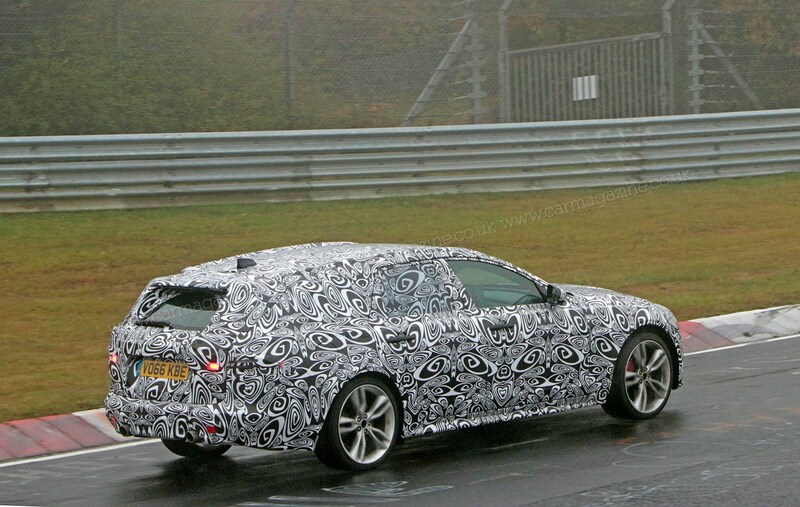 Parent company JLR has a test facility at the Nordschleife and routinely tests its new products there. 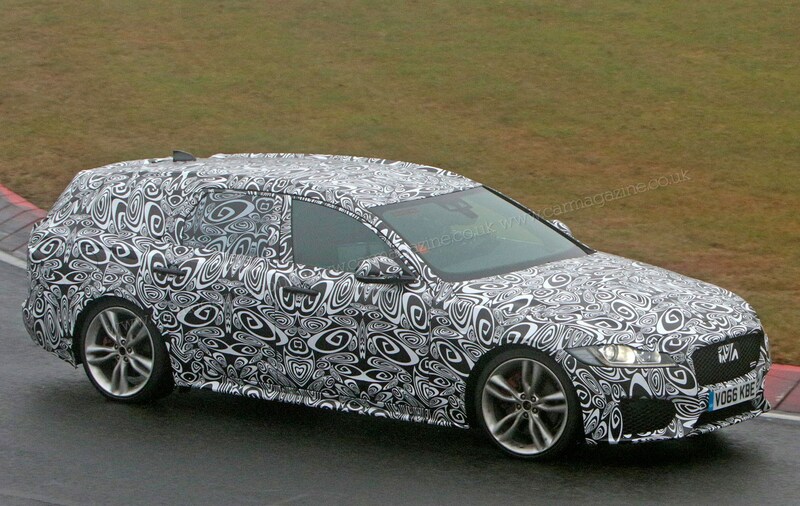 What do we know about the new 2017 Jag XF Sportbrake? Do you agree? Be sure to sound off in our comments section below. 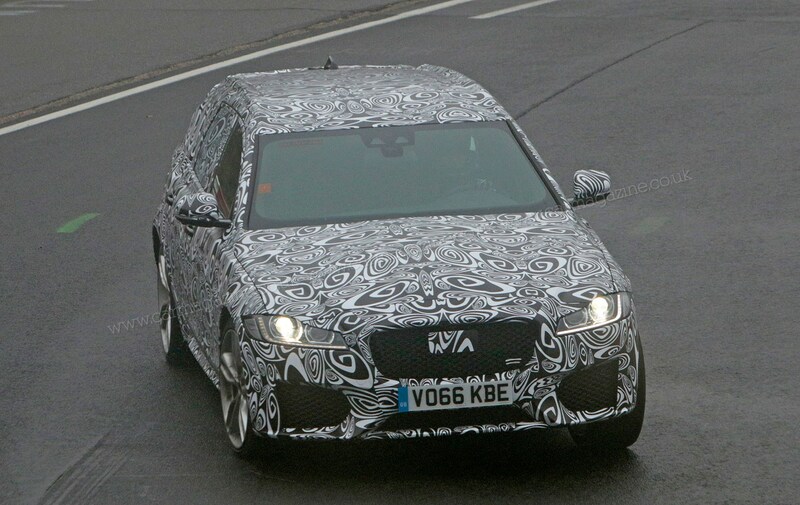 The prototype exhibits a long, tapering rear end, suggesting that Ian Callum's design team have prioritised Jag elegance over outright practicality – which is very much as expected. 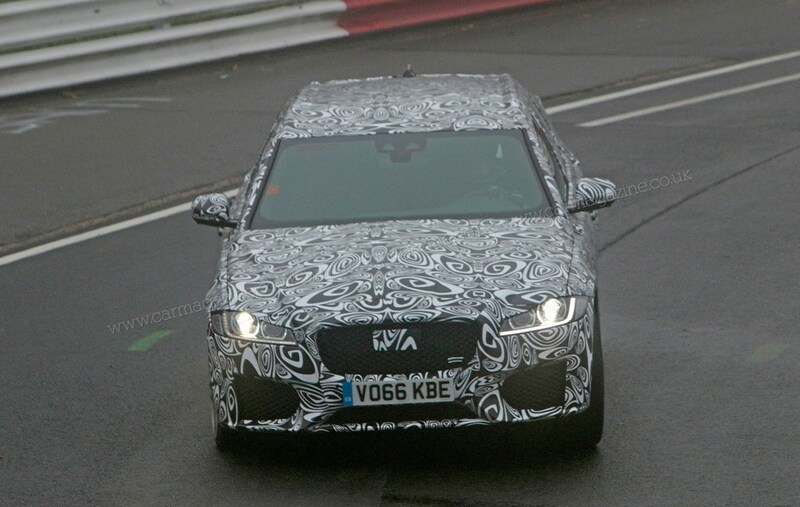 Rear- and all-wheel drive will be offered, and additional engines will arrive in time. Trim levels are expected to follow the Prestige, R-Sport, luxurious Portfolio and sporty S spec levels set by the existing range. Will there be a hotshot R model? You bet. 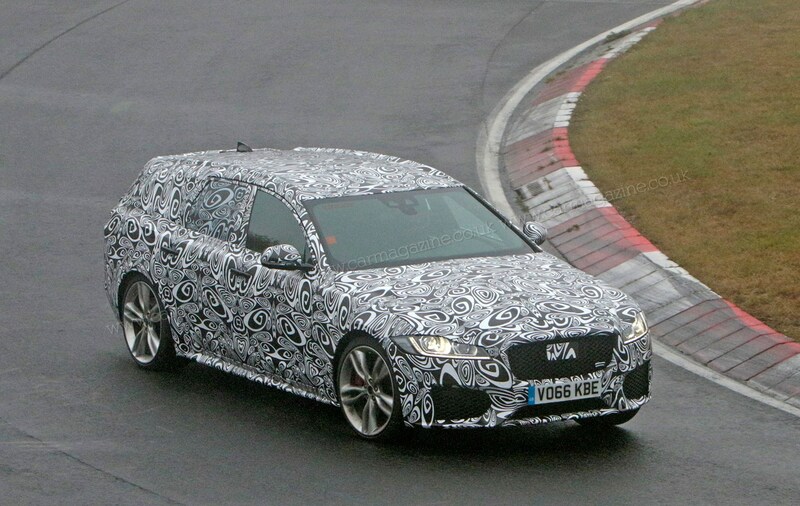 Expect to see the high-performance XFR Sportbrake in 2018.